Graphic designer Ivana Catovic hails from Rijeka, Croatia, but currently lives in London where she is working on her personal project, BeLove. 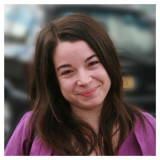 She loves travelling, reading, drawing, dancing, watching films, drinking tea and spending time with interesting people. Question:Hi Ivana! How did you hear about Mozilla and its call for General QA Participation Badge Design submissions? Ivana: I have always used Mozilla Firefox as a browser, but I found out about the submissions through a friend who is an employee of Mozilla. Question: What was your thought process behind the design that you created? Ivana: After analysing the brief and getting familiar with badges that were already in use, I set up my design direction. General QA Participation Badge had to differentiate from all other badge groups and allow further development of an entire set of more specific QA badges. At the same time it had to preserve the general style of already developed visual system for other Mozilla-related badges. Therefore, I have introduced a new representative colour (green) and a new typographic solution for the badge, while keeping its characteristic shape and style. I wanted the overall design to stay clean and simple as well as legible at small sizes. Green colour and its shades can be easily applied to more specific badges that are yet to come. I also think that the colour itself perfectly matches QA mission. Question: Have you contributed to any other Mozilla projects in any other way? Ivana: Yes, I was invited to create a custom Mozilla UK T-shirt last year. Dave Hunt, an automation engineer who works for the automation and tools team, always thought it would be great to have a specific T-shirt design for the UK and after he had seen one of my designs, he proposed a collaboration. 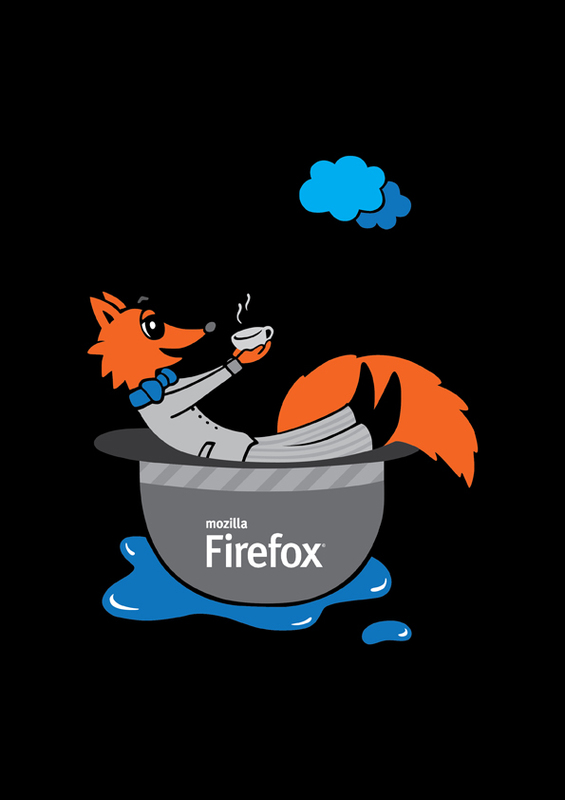 I found the project incredibly interesting and I made an illustration representing a gentleman Fox in a typical British situation – floating on a puddle in his bowler hat, enjoying a cup of tea. Question: How did you get involved in this kind of work? What’s your background? Question: What is your favorite type of design to work on? Ivana: I mostly enjoy working on projects that include lettering or illustration. I love creating visual identities and packaging design. Question: What serves as your design inspiration? Ivana: Random little wonders of everyday life. Question: What do you consider your proudest design moment? Ivana: I don’t really think there is a specific moment that I would like to point out. I always feel fulfilled after finding the right solution for every single project I develop and I am always looking forward to new challenges. Question: What advice would you give to someone who is new and interested in visual design? Ivana: Work hard and pursue your dreams.